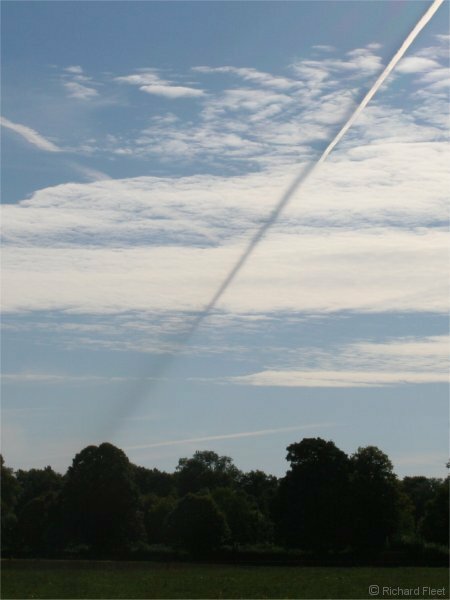 The sun is at upper right and the contrail casts a shadow on the cloud below. 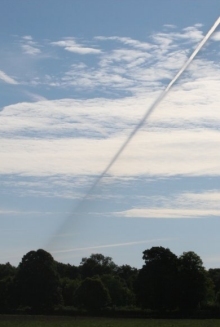 The contrail moved towards the right. 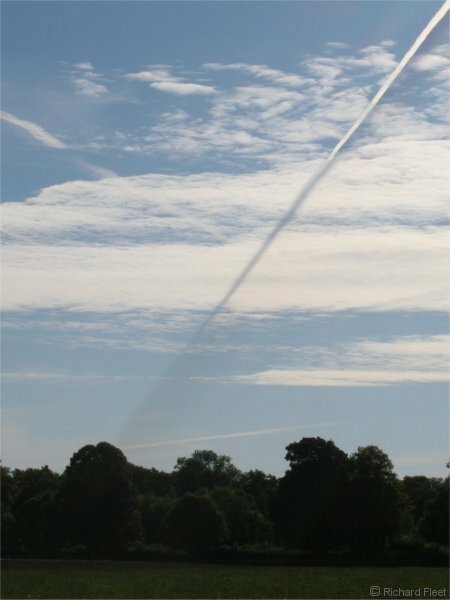 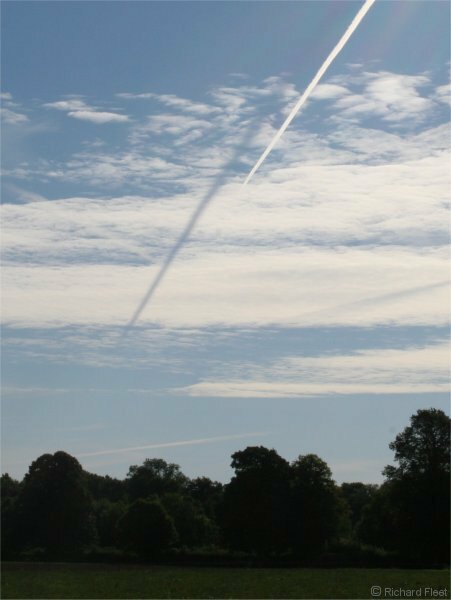 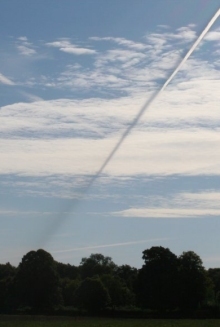 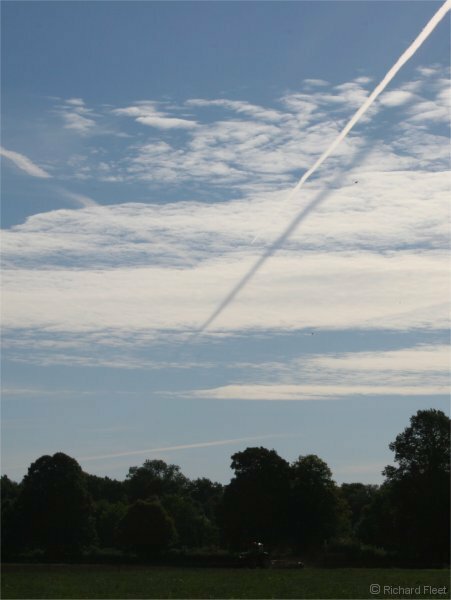 As the shadow drifted across me it briefly appeared to extend below the cloud forming a diffuse band. 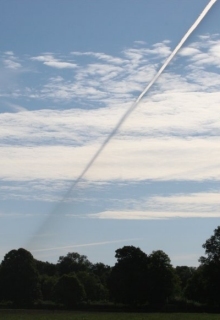 30 seconds later and the main shadow was well to the other side of the contrail and the lower shadow has gone. 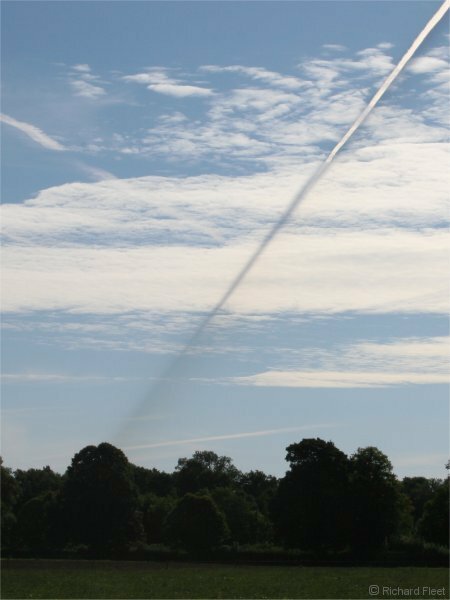 Just moments before the contrail shadow passed over me the shadow can be seen extending below the cloud. 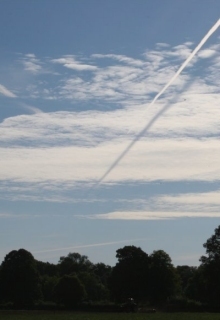 The shadow has already crossed over so it is now slightly more diffuse to the right of the main shadow. 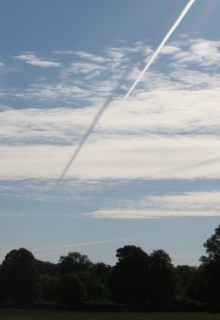 Seconds later and the lower shadow is already disappearing because I'm no longer looking along the shadow plane.